I will never become fully adult until I embrace it all and let all the things I used to do as a child behind me. But, World of cartoons has bring our childhood back, and I mean it- in big lights! I dare to say it comes so great now when weather is kind of deppresing, everyone in gray- with nothing to remind us to smile. And, there are so much more. And personally I adore it- It will keep your inner child alive anytime, anywhere, at any age. And we all are striving to be one again, even for a second. My favorite cartoon following from the birth to beginning of my elementary school- But always more than just happy when its face appears on clothings of his adventures on TV when visiting my little cousin. And Minnie and her bow shouldn't be forgotten either. One of the first shows I watched on TV and obsessed been waiting for every new episode- little subversive humor and delightful wit- and with 25th anneversary on February 2015- It's a longest sitcom in history and not only I was and still am a huge Simpsons lover. Although Snoopy was introduced in Peanuts comic back in 1950's, it still is one of the most recognizeable comic caracters- and kids around the world love him and he continues to live! Hope I've brightened your day a bit and already checked what you like! Keep yourself safe and warm- a nice cup of tea, hand cream and cozy scarf are my must haves for the last two weeks- and yours? I love cartoons clothes! 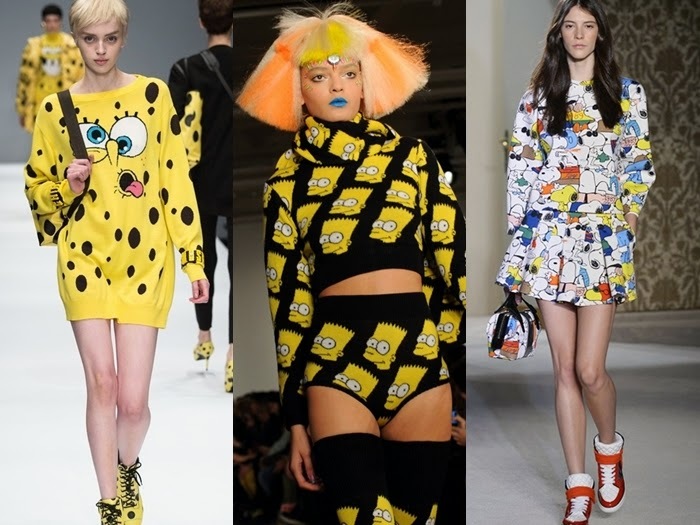 Personally, my fave ones are mickey and minnie ones and simpsons ones but i love moschinos spongebov collection! Even thought that might be because i adore Moschino! I love these! Cartoon prints are my favourite. Those jumpers are so cute! Love the snoopy ones! I'm at Bilgi | Stepping Onto The Scene & on bloglovin here here if you'd like to follow each other maybe? so many cute and fun sweaters. 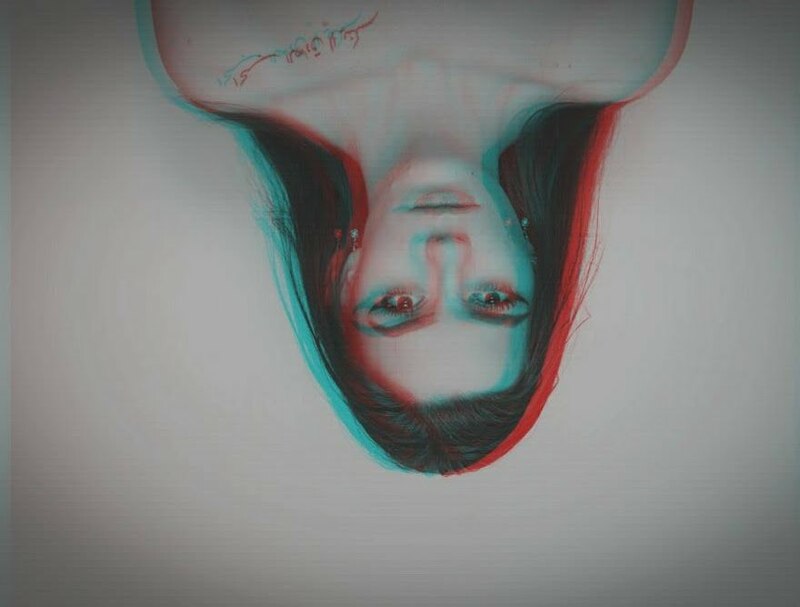 I like this :))) !! Awesome post! I'm obsessed with that Bart Simpson denim shirt - I need it! i have the simpsons sweater! Love it!! I want all of them! alternative to all the ark colours for the cold season. Lovely post, these sweaters are great! Have a happy Halloween! 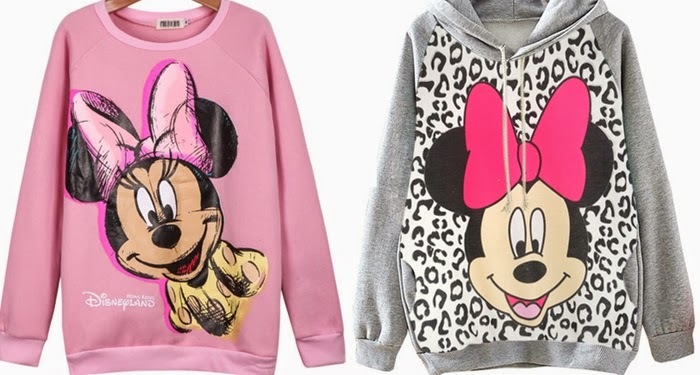 Loving this kind of clothes, I have like 6 sweatshirts with cartoons and stuffs like this, lol! Hello Lucille :-) Thank you very much for your visit. Tons of lovely and funny things in your blog. Have a nice day!! Makes an outfit look super cute! I don't like all new collection by Moschino! I wanted one of those Bart Simpson sweaters so badly when they came out. Having Bart between your legs, does that sound like a fantasy or a nightmare? OMG I loved Jeremy Scott so much because he's not one to let go of his childhood. I lovvee that Snoopy jumper! The tan Mikey Mouse jumper is possibly the cutest thing ever and I think I really need it!